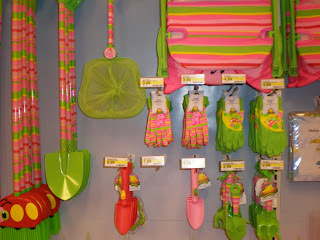 I went out to the big, but not close, Marshall's to check on the Lilly bathing suits for Bestie. They are sort of picked over B and I am thinking you might do better checking your own Marshalls or Max this weekend because I have no idea what size you might want. While there I checked for goodies I might need, too. Found a few VV skirts and none in my size. Of course! But I tried the size too small skirt on anyway because it was just beyond cute. 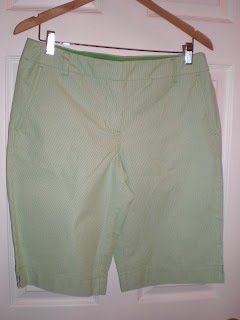 It actually fit which leads me to think this skirt must run huge because I have gained a LOT of flubber this winter. But then reality hit that I don't really love wrap skits. I don't know, I just feel so self-conscious when I go to sit down that I might do a little flash-a-roo. But companies keep making them so I am thinking I am the only girl who is paranoid about this. Hmmm. Anyway, I snapped a photo of the cute skirt anyway just in case any Cap Region ladies want to run up to the CP Marshalls. They also had an adorable VV girl's dress that I would LOVE if it magically became an adult size. 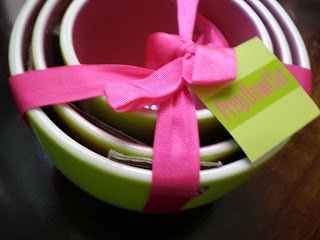 I did however find these adorable wooden hangers painted pink and green. I always need more hangers (Why is that? I mean, no matter how many clothing items I get rid of, I still need more hangers.) 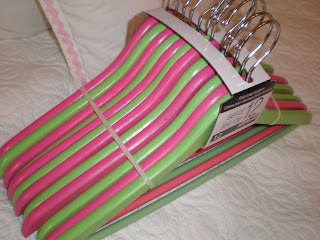 and love that I scored a dozen cutie hangers for $10 in the clearance section. Fun. Or is it maybe a little sad that I find hangers so exciting? Whatev...I was happy. So I go to buy my snazzy new closet staples and also return (Remember that I return A LOT. I usually don't try clothes on in stores because it makes me cranky and thus I am a return-a-holic.) a few items I brought home a few weeks ago. The Marshalls lady does the return and then the sale. I request that she just re-use the plastic bag that I brought in for my returns. I asked twice actually and used the word "please" and was very chipper and polite. 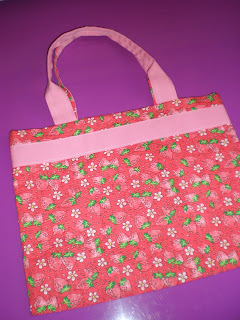 But she still put the hangers in a new bag and wadded up the old bag to throw away. I thought that perhaps she misheard me and thought I asked that she throw the old bag away (although I speak very clearly but maybe...). So I re-asked her to please re-use the old bag. She then said, but the old bag has a little hole in it (and looked at me as if I were insane for now asking three times for this outrageous request). I said, but the hangers are going to just put a hole in the new bag too so I might as well refrain from wasting another plastic bag just to tote this home in my car. She still put it in the new bag. So I reached over the counter and pulled the hangers carefully out of the new bag and she looked horrified. But lady, I am just trying to do my part here. I was going from the store to my car and then home. I probably could have just carried the damn hangers myself sans a bag. But I already had the old bag right there. The hole was small and the hangers are big. They weren't going to fall out. I bet she is gossiping about me and my bag-re-use right now as I type this. But come on, everyone knows that it's hip to be green these days lady! Oh I also bought this (much needed!) 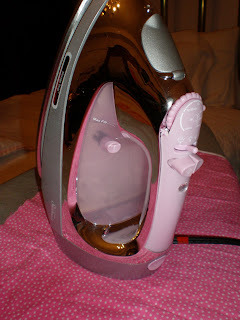 new pink iron last weekend. I love it. Except I might return it. I will give it one more chance tonight but it seems to randomly leak water. Which is very annoying. But it's cute nonetheless. Bonanno's is having their annual Sunfest Sale later this week. From May 01-04 all Bonanno's will be $20 off! And the best part is that you can pre-order before the sale starts to have your order go in the first day of the sale! Go to their website or call #866-313-3338. 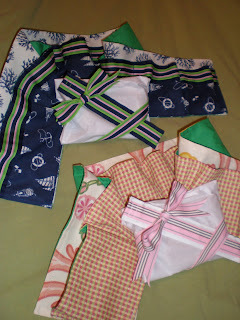 Sweet Abby is hosting an apron swap again. 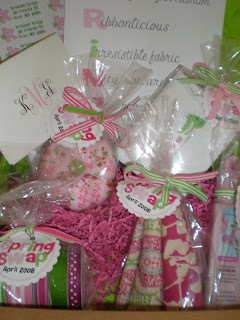 The first swap was so awesome and I can't wait to participate with this next swappy fun. Visit her blog for the details and to sign up if interested. 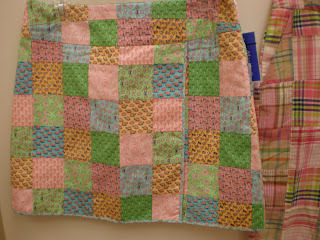 I thought I was the only person to love aprons but it turns out there are a LOT of very crafty bloggers who also love aprons. Yeah for finding kindred spirits! Please invite me to read your blog! I miss it! This was such a fun swap! Thanks so much for organizing it Connecticut Charm!! 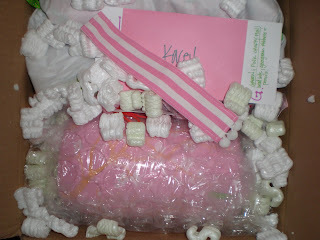 And thanks for being the sweetest swap buddy, Kacey! I love, love, LOVE everything!! This last picture is not very exciting but when I read that my way cool swap buddy was going to get to review a book (OMG how cool is that?) I had to toss in a ribbon with pom poms book mark for good measure. I loved putting everything together but feel like poor Kacey got the short stick because her package to me was so over the top fabulous!!! I loved it all - thank you! 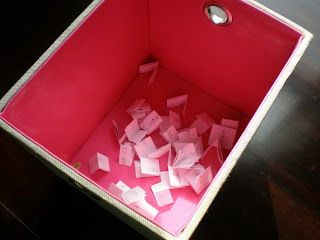 So I had the big draw for the next winner of Pay It Forword yesterday. And by "big," I mean me standing in the dining room with my camera and no one around. Very exciting I tell ya!! Anyhoo.... Congratulations MMM and Meg!! Email me your name and address and I will get your packages together in the next week or so. Woo-hoo!! 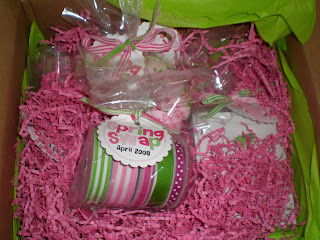 But since yesterday was Earth Day, I thought I would do a little earth-friendly give-away. Nothing major, just a few little "green" goodies to help make our planet better. 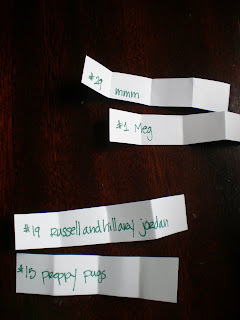 So congrats to RussellandHillaryJordan and Preppy Pugs! 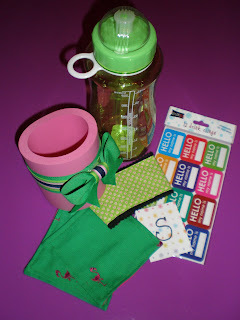 Email me your name and address and I will get your little green goodies off to you shortly. Congrats girlies!! Yeah for presents! So I ran into two Marshalls and one TJ Max this past weekend to see if I could find any Lilly or VV goodness. Found a plethora of Lilly swim suits at my big Marshalls. But seeing as it is my life goal to never wear a bathing suit, I left empty handed. They seemed to have every size and style so if that is something you are looking for, yeah for you and your cute body! TJ Max had zero Lilly. But they did have this cutie patootie set of bowls. The tag says they are "prep" bowls. I know they mean prepare but I like to pretend that they mean Preppy Pink Crocodile! 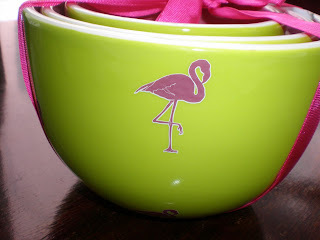 Aren't they so fun with the green and fuchsia pink flamingo outside and lighter pink inside?! I love them!! Did I need them? Well, define need... They obviously came home with me anyway! Is there a reason everyone is requiring me to type a word verification when I comment on your blogs? Because it is so stinkin' tricky for me. Some are OK. But some...sheesh! 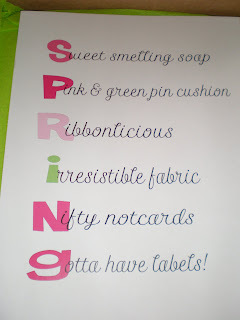 The letters are all swirly and smooshed together and I can never tell what half of the letters really are and end up having to re-try four times before I get the thing correct. And others have a dark, scrambled background also making it difficult for me to figure out what is a letter and what is a tricky mark just there to throw me off. I seriously feel like a kindergartner. It's like a game of stump that crocodile or something. It's exhausting, really! I'm not sure if your fancy notifier thingies tell you how many times I have to re-type the word verification but just in case I wanted to tell you I am not really a totally dumb girl. Those things are just sneaky and tricky! So last week while grocery shopping, I somehow managed to roll over my foot, specifically my baby piggy toe, with the shopping buggy. I don't know how but I did. And it hurts. I think I sprained or broke it. Then yesterday, just after I finished telling someone about my brainiac grocery store move, I stubbed the exact same piggy toe on the corner of my desk. It was the sort of pain you feel in your stomach. OUCH! So forget what I just said above. Maybe I am dumb! 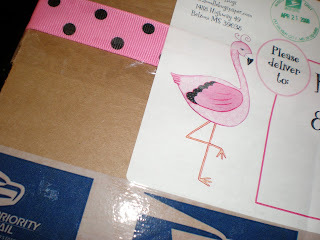 Don't forget to comment on my Friday post to play the Pay-It-Foreword game! Big fun!! Looky-loo at what arrived this week!! 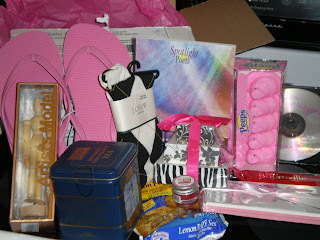 My care package from the incredibly sweet and talented Chloe! 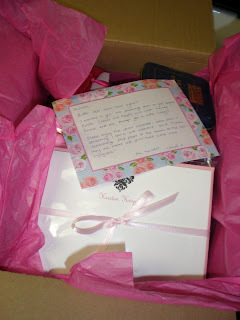 It was soooo exciting to open this box and see it so full of happy goodness. 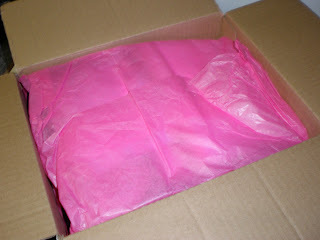 Starting with the pink tissue paper. Nothing but smiles can come from pink tissue! I was right! 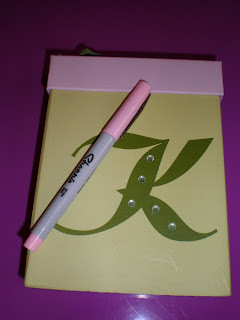 A sweet note and personalized stationary. My name was even spelled correctly. Something that means the world to me as it is rare. No one ever spells my name correctly. They always always reverse the second and third letters to spell the much more common name with an entirely different pronunciation. But she didn't. It is the loveliest stationary too!! Pink Peeps! My favorite! Does anyone else love them both fresh and stale? 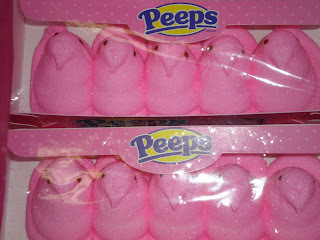 I open the package to eat a fresh peep and purposefully leave it open to get the other little peepy buddies stale. That's odd, right? I just love stale marshmallows. They taste better. 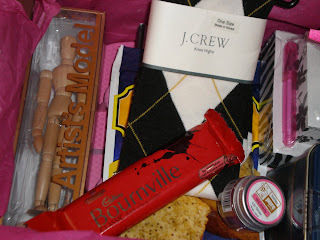 And a million other super duper fun goodies from argyle socks to lippy to muffin mix (remind me one day to tell y'all the store related to this muffin mix from my college days with bestie!) 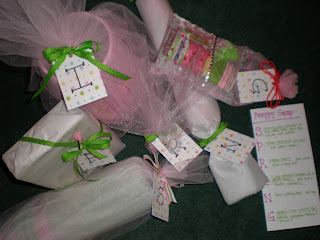 to flip flops to a pad of paper, English tea, and more! Chloe, you are a doll!! Thank you soooo much for everything!! What a delightfully happy box-o-goodness! So now it's my turn to pass on the good mail. I'm excited too- already have some fun ideas. Just leave me a comment by Tuesday April 22. 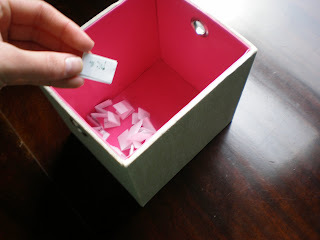 I'll draw two names randomly. The catch though is that you too have to be willing to then pay it forword and share the care package love with two more bloggers. The package can be large or small- it just needs to be from you and for no good reason other than to put a smile on someones face. Comment away.... I'll let you know next week who gets to be the next two lucky duckies. I go to Panache on Western Ave. # 869-9299. I go to Melissa and love her but my cousin goes to another gal and loves her just as much. 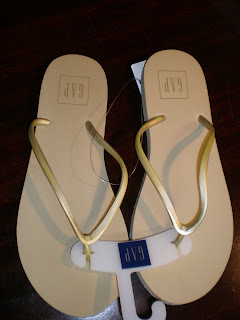 I have also been to Jean Paul in Stuyvesant Plaza and had the worst experience. The hair result was OK but the service was horrible. From start to finish and every single person I spoke with was just unpleasant. Two were flat out and purposefully rude. It was a very strange day at the salon. And it took FOUR hours. For a normal cut and highlight. And my hair is very very short. So call Melissa. She's very sweet and very reasonably priced!! I am just posting today to tell you the most wonderful, amazing news ever. Ready? Are you sure? Really sure? OK, here it is.... It's SUNNY and IN THE MID 70's today!!! Simply beautiful! I love it and want it to stay like this forever and ever and ever. Or at least for a week or two. Oh, I also had my hair cut and highlighted today. I used to be so blonde but the older I get the darker I turn. But that's why they make chemicals. So that I can pretend I am really this blonde. It's all about the illusion! So at my vet office, the vet tech comes in first to take her temp. Today she also clipped her nails for me. Poor puppy- two bled. This is precisely why I do not attempt to do this myself. Better someone trained that a nervous momma. Anyway, then the vet tech leaves and closes the door and we wait for the vet to come in for shots, etc. But the doors are slotted so you can sort of hear what is going on behind them (other dogs walking to rooms and vets collecting charts and such). Well today when the tech left and was handing the chart to the vet, she said the sweetest thing that I know she didn't expect me to overhear. She said that Sadie and I were super sweet and very easy going and that she would like going in to see us!! Awww- isn't that so nice?! A compliment by accident I guess since she likely didn't expect me to hear her say such sweet things about me. Totally made my day. Until we had to deal with the glands issue anyway. Ding dong, Priscilla's gone! Carrie Ann is tearing up. Why? Her face looks like a scary pin-cushion. And she was not a good dancer. And she is boring. Don't cry Carrie Ann. Cheer. Woo-hoo!! This is how I spend my evenings. That's sort of sad, right? Whatever. I love silly TV. 1. I don't like cake or cupcakes but I love blogs about them, food TV shows about them, books about them and anything else about them. I just won't eat them. When I get married I do not want a wedding cake because I figure that is my one and only day to have it all just the way I want it. 2. I do however have a HUGE sweet tooth. I love all the sticky, gooey, dentist-un-friendly crap like jelly beans, Swedish Fish, Hot Tamales and sour gummies. 3. The first thing I do in the morning is make my bed. And if I don't do it right away, I do it the minute I hop out of the shower. An unmade bed drives me batty. 4. I wear glasses. Always. I have never even attempted to use contact lenses. Because the very idea of touching my eyeball makes me queasy. Ew. I can't even watch you put your contacts in. I am such a baby sometimes. 5. I love to shop but I hate trying on clothes. If I don't bring it in the dressing room the first time, it's not getting tried on. And my try-clothes-on limit is very low. So I often just buy the clothes and bring them home to try on leisurely. Therefore I am a HUGE returner. I return maybe 80% of the clothes I purchase only because I don't like trying them on in store dressing rooms. Stores probably cringe when they see me walk in because they know I will be back to return much of what I buy. 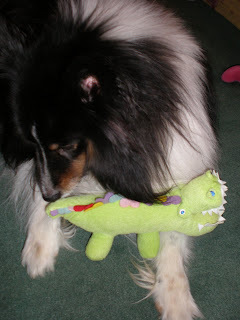 Sorry if you have blog notifiers and it keeps telling you that I am posting a zillion times today. I just finally decided to organize all my labels - so I have not actually changed my postings. Just tweaked the labels really. 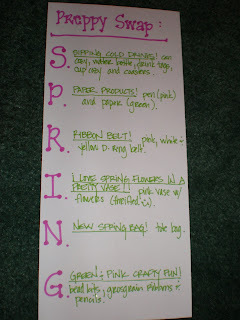 Spring cleaning and organizing for my blog. Oh what a night! A gassy night, actually. No, not me. My city. On Saturday some pipe thingy (do you sense my lack of technical knowledge?) corroded. Then it burst. Then gas built up. Underground. Confined. Yup, totally exploded part of the street, broke storefront windows and wreaked havoc in the city. But on Sunday morning when I heard about this story, I just though "oh how strange" and went about my day. Didn't really give it a second thought until Sunday evening about 9:30PM or so when the lights started to flicker. And then the computer. And then everything that was plugged into an outlet. I went to the front bay window to see that the street was crazy full of commotion. Half a dozen fire trucks on my block alone. It's not a very long city block mind you. And at least that many police cars. The street was blocked off and all sorts of emergency personnel were running around. So it turns out earlier that night in another part of the city there was a fire related to this gas issue. And then in a little health food market that is half way up my block, the gas issue caused one of the (I think refrigerator) motors to have a little explosion or something. No major fire but it was a big issue because the fire department discovered that smoke was coming up from the ground under all of our homes (and businesses- there are both on my street). The fire peeps were in and out of all the buildings next to the food store to check them. They told everyone else to just turn everything off and unplug computers. Since it was dark and cold (they also had us open front windows to let CO2 escape), I went to bed. Only to get woken up from the fire department banging on the door because they now thought my house might have too high levels of CO2 to allow me to stay there last night. It was now around 12:30AM. They went all through the house from the basement to the attic and made sure we were safe. Puppy was a wreck with strangers in strange outfits in and out of her house. But after several check-ups we were fine. The power eventually totally went out too which was not fun because I was wide awake. My window was open and it was loud outside with so much commotion. Somewhere during all of this there was another fire a block behind me. The smell was crazy strong. I finally closed my bedroom window and turned the heat back on this morning because even though it is spring, I was very cold! So now it is sunny and beautiful outside. Grid (power company) trucks are still all over the place but at least the power is back on. I mean, what would I do without blog access for a full day?! The horror!! Everyone survived though. The entire neighborhood is likely grouchy today because of our lack of sleep but at least we are all alive to tell the bizarre story. Such a serious problem could have been much more destructive. In the end I feel very blessed that my city has so many capable emergency personnel to take care of me! So the baptism was this weekend and it was really nice. Private and just for family. I've never seen that before as I am not Catholic. I was totally thrown off with the walking to the back of the church and then back again to our seats. But whatever- chalk it up to a new life experience. And the baby was as cute as can be of course- always fun to see a cutie baby! She was wearing the binky buddy clip that I made for her so that was nice for me to see a gift in action so to speak. 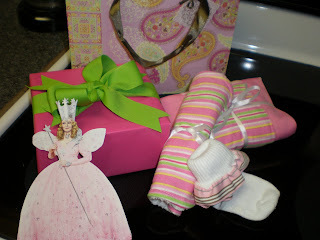 As far as my gift to the baby for her baptism, I loved all of your wonderful suggestions. Thank you! But in the end, I just didn't feel at all comfortable gifting a bible or rosary. I knew they would be given many bibles and as I am not Catholic, just felt a little phony purchasing a rosary. I felt that was better left for one of the many many Catholic family members to gift. I immediately fell in love with Bestie's idea of the shoes for her "walk with God." That just felt so much more like me. It was my comfort zone and is the typical unexpected and full of color gift that I am known for giving. 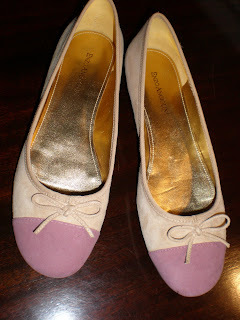 But like so many things in my life, these shoes come with a crazy shopping story! So a week or two ago I set out to find a fun pair of baby shoes. To no avail. Macy's didn't have a single pair. Not one! Sears had like one pair but they were nothing special. We don't have a Bloomies or Nordstrom up here. Sad, I know! 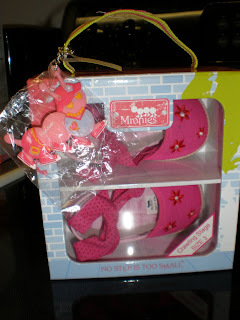 When I was in Macy's, there was a woman shopping near me holding several baby girl outfits. I asked her if she had any nice baby boutique ideas for me. She could only think of one but it turned out to be totally perfect. So thank you to the nice woman shopping in Macy's shoeless baby section for turning me on to Lollipops (website does not at all reflect how cute and fun the store is in person). I walked in and immediately knew I loved this cute shop. It was full- like stuffed way too full actually- of the most adorable children's clothing and gifts. Totally my style. It was very nicely done though so the too-full-ness wasn't overwhelming. What was overwhelming was the mass of people in the store when I walked in. The shop is tiny but there were a good 6 or more people in there shopping and talking loudly. A cute sales girl spotted me and must have sensed that I was shocked to see so many people in there at one time. I asked to see shoes for girls under 1 year and she took me to the right spot. I immediately found the perfect pair - the first pair I picked up. I continued looking as (a woman I thought was) another saleswoman came over and was playing the stalking game with me. Just literally hovered over me no matter how many times I stepped back or sideways. Kept commenting about the two pairs of shoes I had in my hand (I found a second pair I loved and was trying to decide between them) regarding their size and stuff. I tried to just tune her out- I do not respond well to pushy sales people. Like I would have walked out but I wanted to buy a pair of shoes that day and I didn't really have any other baby boutique options that I could think of at the time. Anyway, I meandered about the store because I love cute baby stuff. About 15 or 20 minutes after I walked in, the store emptied. All of the loud customers left together. Including my stalker pushy sales lady. Turns out she was not at all a sales person. She and her entire family had been in the store for at least a half hour before I walked in and were debating over all sorts of outfits and shoes. 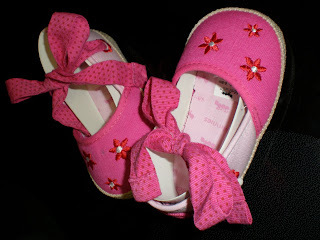 But as soon as I picked up my chosen pair of shoes, they decided that was the exact pair that they too wanted. And of course they were the only pair in the shop. Here I had been thinking that a pushy sales person was hovering over me but in reality it was a crazy lady who was trying to talk me out of buying them. I was of course oblivious to all of this- it was not clear until after they left and the cutie sales girl explained this to me. The lady and her family were so ticked that I took the shoes that they walked out without purchasing anything. I felt bad and apologize to the sales girl and she was all "oh don't be silly- they have been in here pulling the store apart for an hour and didn't want the shoes until you picked them up." Who knew a tiny pair of pink shoes could be surrounded with so much drama?! But here they are... Not sure they were worth so much chaos but I do love them. 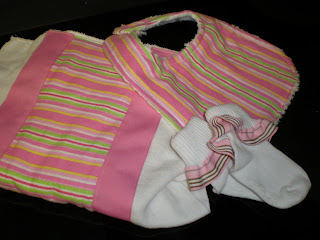 I made a bib, burpee and pair of socks to also include in the gift. And the card. Well if you are in the card making market, take note. I stood in three card stores reading every single baptism card and didn't buy any of them. They were all just waaaay too over the top gushy or religious or just ugly or I don't know. I strongly disliked all of them. And I know this was a religious event but I really prefer blank cards. Almost never buy cards with writing on the inside. I just really like to write my own note. I would much prefer to write my own quote or bible verse or message rather than one chosen by the random card maker. So instead, I decided that Glenda the Good Witch would do just fine. What little girl doesn't want that dress?! It turned out to be the most amazing day- sunny and warm. I think it peaked at 71! I wish every day was a duplicate of Saturday! I wore flip flops for the first time in forever on my afternoon puppy walk- a very exciting moment!! We are back to cold and wet today- yesterday was such a teaser! Today is my baby girl's big birthday! Six whole paws she is today! And yet still totally a puppy. She is feeling much better as of last night- thank goodness. So that means she will be able to enjoy her pizza shaped puppy cookie tonight. Oh we really know how to rock the house over here in Pink Croc-ville! 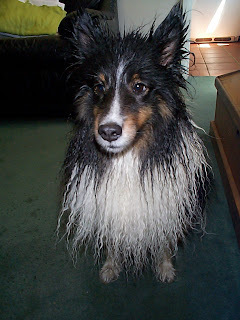 After a dreaded bubble bath. Sleeping sweetly on the sofa and rearranged pillows when she thought no one was home and watching her. Red and White Preppy, I would love an invite to read please! Yay! Is anyone else watching Dancing with the Stars tonight? Priscilla just danced and Carrie Ann just commented that her "face was perfection" and "full of expression." Um...are you looking at the same scary botox-filled face that I am looking at Carrie Ann? I don't think she could muster up an expression if her life depended on it. I think the judges are scared to be mean to certain contestants so they say random junk like that instead. I totally have a story to tell you but I am just drained today. Yesterday was a very long and difficult meeting for my volunteer organization. 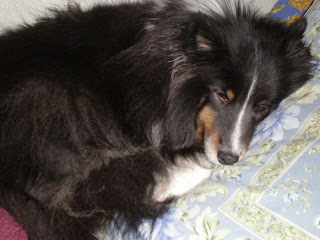 Then it was followed by even more headaches and really unpleasant news all last night. And still today. It will go on for at least this week. If I am lucky I can limit it to that. I am not even annoyed, just flat out exhausted from dealing with all these big, huge issues. I don't feel wise enough to handle some of this stuff. I am drinking a big fountain Diet Coke. It's only Monday. Not a good sign for the rest of my week. So I promise to blog my cute story and post pics tomorrow but tonight I need to just rest my brain. Because it actually hurts. Hmph! I've been tagged by Preppy Pearl Girl. It's a fun, quick way to share a few random facts about yourself. Thanks PPG. 1. You link back to the person who tagged you. I tag the following if they feel like playing along. And anyone else for that matter! Six Unimportant Things About Moi! 1) I say sneakers or sneakys. Not tennis shoes or kicks or athletic shoes or running shoes. Unless you are actually running or playing tennis. Which I don't, because I am not athletic. So I wear sneakers. 2) I was born one month and ten days late. My mother was induced twice and I still had to be born via C-section. My family swears by this story - so don't try to insist the date was wrong. I was apparently cozy. 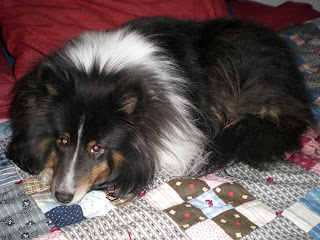 3) To this day, one of my most favorite indulgences in snuggling under my duvet. The love of cozy never left me. 4) I like the teeny boper show Kyle XY. I have no face-saving explanation other than I watched it one day randomly and got hooked. 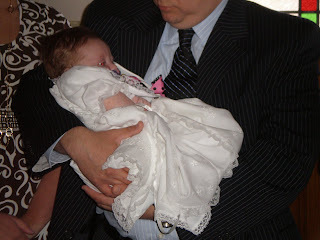 5) I only decided about a year or so ago that I wanted to be a mother. I spent the first 28.5 years of my life 100% sure that I never wanted to be a mother. People say rude things to you when you make such a statement regarding plans to remain childless. I have only told a few besties and y'all that I changed my mind. You know....just in case I change it back. But I doubt I will. I am getting myself fairly well education on adoption. I'm getting old. 6) I would love to lose 20 lbs. But so far I am doing nothing about it. My big hopes of a "wish and a prayer" are proving less than successful. I read somewhere that I will need to move fast enough to sweat to achieve my goal. And so, 20 lbs overweight I remain. It's a cold and wet day here today. I don't watch her all that often but I saw a blurb on TV earlier in the week that Oprah was going to do a show today on dogs. I love dogs so I decided to watch. Um, it's horrible. I am sitting here bawling because the show is about dog abuse and puppy mills. This is not what I signed up for Miss Oprah. I thought you were going to show me cute things. Instead you are breaking my heart and making me want to run down to Lancaster County PA (where the worst mills are apparently!) and bring all of those puppies home with me. So sad. If you are taping this show- don't watch unless you are prepared to cry. A lot. I have been quite the shop-a-holic lately. But in my defense, I have been using the slew of gift cards making my wallet bulky. I love getting gift cards and while most years it is rare for me to be gifted more than one, in the last few years I have received many. But I forget to use them. Or really I just don't go to the mall to shop all that often so they don't get used. But lately I have been using those puppies up. Because many expire after two or three years. 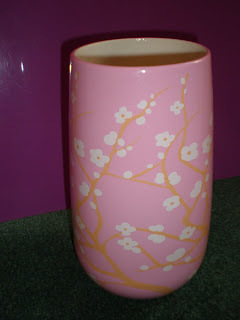 I bought these cuties at Marshalls last week from the super sale wall. $20. They are suede so not really in season but I love them anyway. Such a steal! I walked past New York & Company (a store I have not been into in many years) and they had all this cute pink and green spring stuff in their display. Totally called to me. Some was not as cute up close but I fell in love with these shorts. They are green seersucker and less than $30. 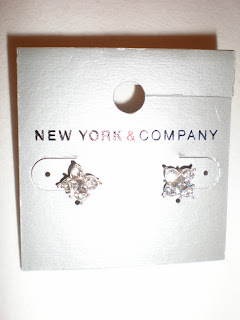 The fake but pretty earrings were on sale for $2.99. I will definitely try to remember to check out this oldie but goodie store again. 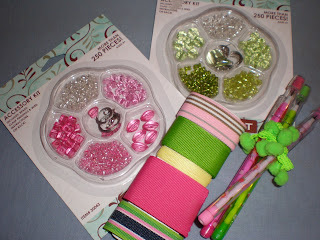 They were just then putting out the pink and green stuff (boxes all over the place) and I have a feeling I might need another little preppy something before long. I had a Gap gift card to use and found lots of cute gems there today. 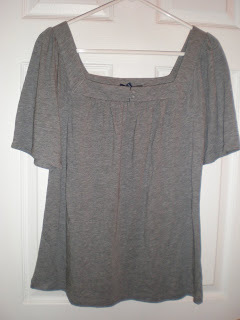 This fun grey jersey top, gold flops and this navy t-shirt-ish dress. Can you see the cute sleeves that roll up and snap? 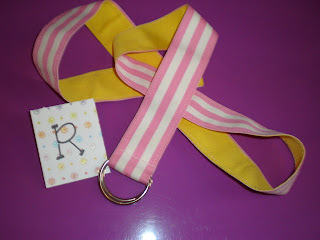 And the adorable belt. Super fun and very comfie. It and the top were on sale. Love. I stuck my head into Payless because I have been having a good streak there lately and it was another winning day. 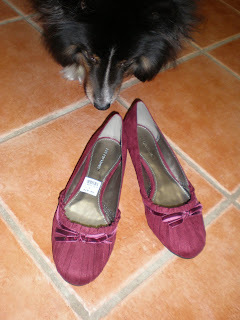 The maroon flats are totally out of season at the moment but they were....wait for it, wait for it....$5! 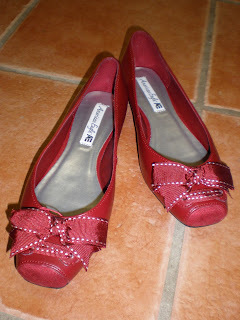 And the fun red ballet flats were on sale for $10. BUT WAIT...karma was totally on my side today. The woman in front of me turned around as she was leaving and handed me a 10% off coupon. So the bill came to less than $15. I actually do this ALL THE TIME when I know I won't get to use a coupon (mostly in fabric stores) but no one ever returns the favor. It was such a small gesture but I was totally excited. I finally sent these out today, Lisagh and Kate. Can you guess which little bundle is yours? Hopefully they make it to your happy homes before the end of the week!